October 19, 2015. Election day in Canada. Engineered illusions have fueled the Harper regime’s dangerous grip on power. Here’s good insight into how some of these illusions are collapsing along with international crude oil prices. 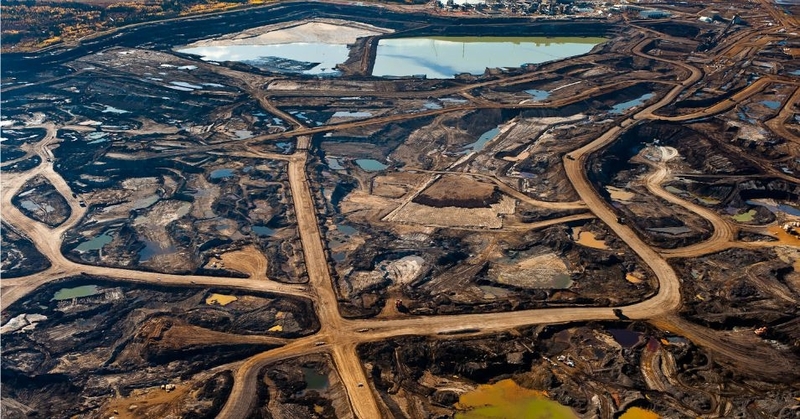 The tar sands corporations and the Harper regime are hard to tell apart. Both believe that plunder is their right, even their duty. Both are obsessed with greed and power, their religion. Both do harm on an almost numbing scale, and call it “good management.” Both depend on each other in myriad ways for their survival. Both hate democracy. In addition to the tar sands nightmare, the Harper regime has presided over a full spectrum of unnatural disasters, including: systematic assaults on environmental protections and honest science, starvation of the national health care system, massive surveillance, escalating military budgets and eager participation in criminal wars wherever US authorities choose to attack. In a sane society, all of these would be considered major crimes. In Canada, the current regime hopes they will be grounds for their re-election. By now we know from bitter experience that if the Harper regime can fool enough Canadians into voting for it in October, the disasters will only deepen and multiply. Question is: How low can we go? October 19, 2015. A fateful day for Canada. Categories: Authoritarian regimes, Campaigns, Climate change, Climate disruption, Corporate, crimes against humanity, Current affairs, Ecology, Economic, elections, Energy, Environment, Ethics, Events, Global warming, Government policy, Health, Justice, Oil sands & shale gas, Resistance, Scientific integrity, Surveillance, Sustainability, Uncategorized, Water protection | Tags: Canadian government, climate change, climate disruption, corporate agenda, crude oil prices, democracy, elections, environmental protection, Ethics, federal election, freshwater, global warming, nature, resistance, Stephen Harper, Surveillance, Tar sands, war, War on science | Permalink.